Do we say white rabbits or not we ask ourselves, today being the first of May. So far we are pretty much on our loose plan and on looking back have already done so many wonderful things in April. Today we headed back into town in company with Phyllis and Bill to try and purchase the $24 local mobile phone. We need this to be able to activate our data cards for the IPad as we head down island. It took three trips to the BTC office to actually get the phone but get it we did and can now activate the data cards we purchased in Nassau as and when we need to. Whilst hanging around waiting for the phone shop to open, we head down to the yacht club for a drink and chat with Bill and Phyl about our cruising plans. 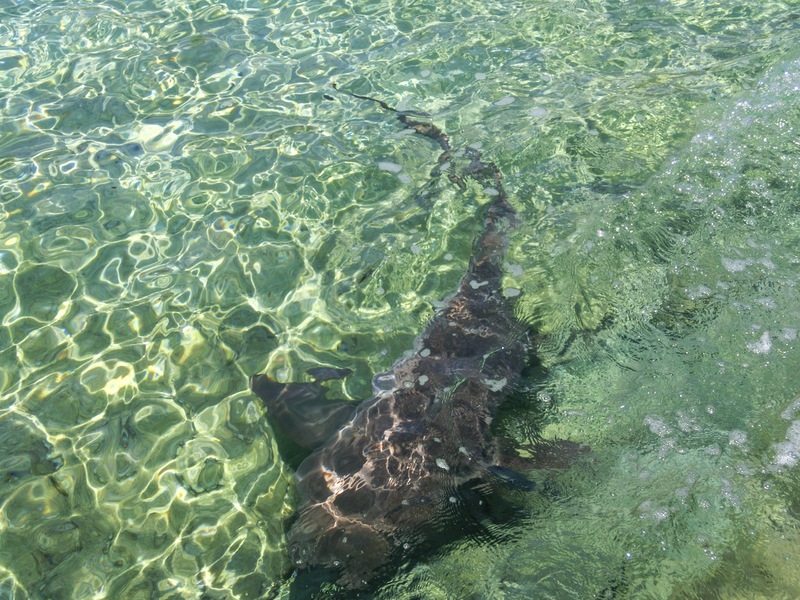 On wandering down to the yacht club pontoons we’re amazed to find about 20 large nurse sharks basking and circling in the below. Whilst exploring the area and looking for shade we found a likely spot under a shelter. It was here that the fishy smell and chopping blocks answered our questions. It became clear that the fishermen stand and clean their fish here and the sharks wait for the scraps. 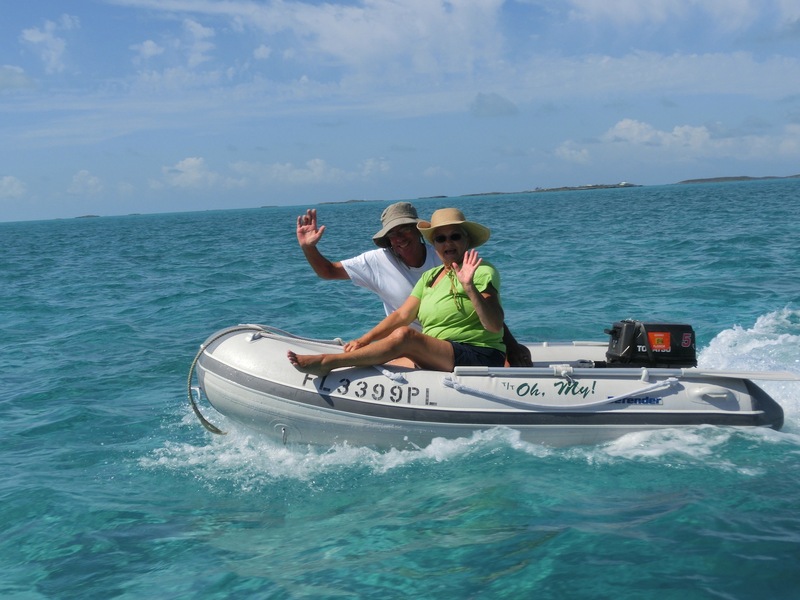 We were advised that these sharks are not tame unlike the pampered nurse sharks of Compass Cay who are regularly visited by tour boats of people eager to swim with them. We head back to Suliere with our new phone and some more grapefruit so irresistibly juicy and sweet we have been breakfasting on them all week. Back onboard we begin preparations for leaving in the morning. 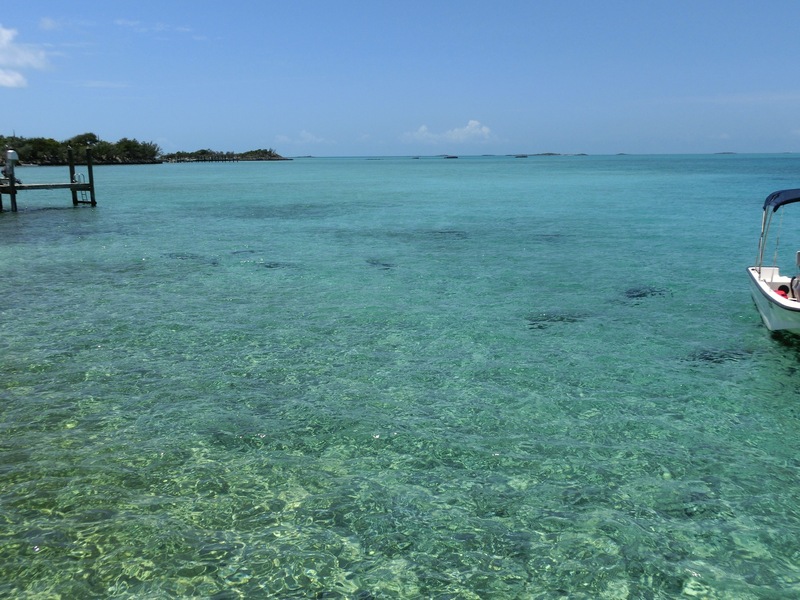 We have loved out time at Staniel Cay and will no doubt return one day.